Do You Know About Sound’s Healing Powers? Anyone who has danced with joy at a live concert has experienced the positive effects sound can have on mood. Beyond the fun of rocking out, sound has an ancient history of use as a healing tool in traditional cultures, from sacred mantra in India to the didgeridoo in Australia to the icaros (medicine melodies) sung by shamans in Central and South America. In our often loud, busy and distracted modern world, sensory healing modalities—including sound therapy—are on the rise. Studies show sound and music therapy can have a range of benefits, from easing stress, pain and anxiety to helping improve focus, reduce tremors in Parkinson’s patients, and revitalize people with memory loss. In a study published in the Journal of the American Medical Association, researchers found that intensive-care patients who listened to music, as well as patients who blocked out noise with headphones, had less anxiety compared to the patients who had no intervention. Even better, the music group used less sedative medication compared to either of the other groups. To find out more, we reached out to Lyz Cooper, founder of the British Academy of Sound Therapy, who told us about this healing modality, along with some easy ways to integrate its benefits into your daily life. Intrigued, she has spent over twenty years researching different sounds, instruments and playing techniques in order to pinpoint certain tone and frequency combinations—“sonic vitamins,” she likes to call them—that enable people to achieve a very deep state of relaxation. In this altered state of consciousness, Cooper explains, brainwave frequencies drop into a lower state that can facilitate various layers of healing. The technical term is entrainment: using frequency, pitch and rhythm to help synchronize our waking, or beta-state, brainwaves and produce a calming effect. (“Dream machines” work on this principle.) Brainwave entrainment can be an effective tool for cognitive functioning deficits, stress, pain, headaches and premenstrual syndrome, according to a 2008 review of studies. Clients experience effects on three levels, Cooper says. “Physically, muscle tension reduces, helping with pain and flexibility; blood pressure drops; the autonomic nervous system relaxes; stress hormones, such as cortisol and epinephrine (adrenaline), may reduce; and potassium and sodium levels balance.” Because these sounds facilitate the release of dopamine, the “pleasure” neurotransmitter, emotions also tend to improve. “Research has shown that when the brain is in a deep state of consciousness—not quite sleeping, but in that warm fuzzy place just before sleep—a person experiences a deep sense of well-being, contentedness and positive mood,” she says. “This state is also associated with creativity, an appreciation of life, sociability and confidence.” At the end of sessions, Cooper leads clients through a self-reflection process that often raises insights they are able to explore with a very relaxed, open state of mind. Like other mindfulness practices, raising our awareness of how different sounds affect us—and consciously tuning into sounds that delight us—can be a simple but powerful way to come back to balance amid the fullness of our family lives. Give yourself time and space: Immerse yourself in the music. Cooper recommends using headphones. Just make sure the volume’s not too loud. 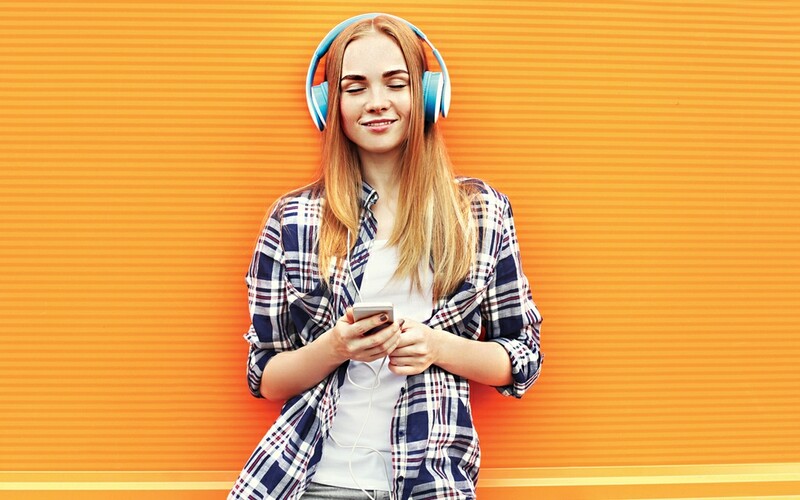 To boost your mood: Choose faster tempo music with higher pitches and pieces that ebb and flow quickly. To relax: Choose slower and more spacious pieces with lower pitches. Tune into yourself: Don’t just hear the sounds. Listen inwardly, noticing how the music is moving you. Join the Project GlobalSound: Submit a sound clip and Cooper and Clifford Sax will mix the sounds together to create a piece of music. “We have had bird sounds from Morocco, wind from the highlands of Scotland, as well as some beautiful melodic playing,” she says.